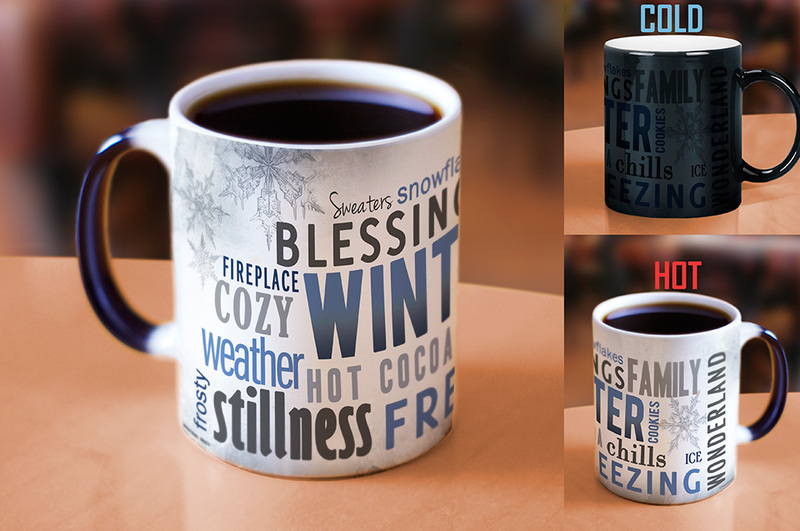 There are plenty of ways to describe winter. Some are positive. Some are, well, less positive. 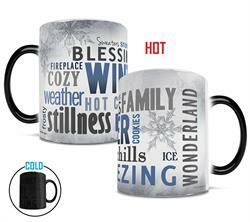 With this Winter Words Morphing Mugs™ heat-sensitive mug, beat the cold weather by basking in the themes of the season as you enjoy your favorite hot beverages. Whether your drink of choice is coffee, tea, or hot chocolate, the exterior of this 11oz mug transforms from black as hot liquid is added! Watch as the heat-activated process reveals the hidden image in full vivid colors.